products), we can hardly keep up with demand. Absolutely delicious with a glass of wine from Pottique. Our Lavender scones (available online in kit form) have become famous as has our Lavender Liqueur and we are proud to be one of the biggest lavender shops in Australia. 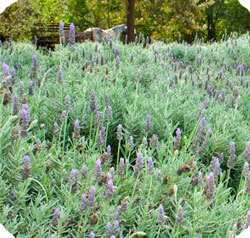 Most of the lavender products that you find at the Lavender Farm are made onsite by us. We continue to sell antiques, country furniture, french country style homewares, enamelware, china, quilts and so much more. 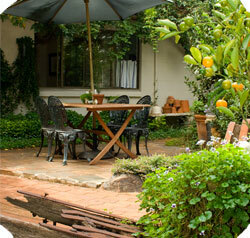 Visitors are welcome to browse through the rustic shed and beautiful gardens in a peaceful country setting. Lavender along with herb and cottage plants are sold in some unusual containers such as old teapots, colanders and tea cups. Our jams and chutneys are all made onsite from local produce while our wine is also produced locally. Our large range of wines are produced exclusively for us with our most famous being our Lavender Liqueur which is good for stress and headaches. Free tastings of our wine and liqueur are available when you visit Pottique. We are so passionate about our region that even the labels on our wine feature local Kingaroy history. Even our gift cards are designed and printed by Pottique in an attempt to bring a unique experience to our valued customers. 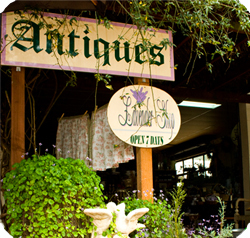 The Lavender Farm at Pottique delights thousands of visitors to the South Burnett region every year so next time you are in the region, call in and say hello! You will find us at 15645 D'Aguilar Highway, just 5 minutes outside Kingaroy in Queensland.